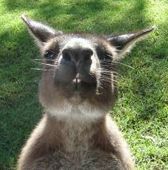 Read about many fascinating animals found in Australia, and find out why in Australia animals look so different. The animals in Australia have fascinated the early Outback explorers just like they fascinate today's visitors. Are you intrigued, too? 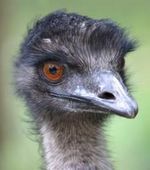 You can find lots of information and pictures of Australian animals here, but to start with let's look at Australia's geological history to understand why the animals in Australia are so different. In the beginning Australia was part of Gondwana, a huge landmass also including Africa, South America, India and Antarctica. 120 million years ago Gondwana started breaking up into the continents we know today. Then 50 million years ago Australia drifted away from Antarctica and was now completely isolated. This isolation lasted for about 35 million years, until Australia collided with the Asian plate again. By then a unique fauna had evolved, and today the majority of animals found in Australia are endemic to Australia: animals of Australia - over 80% of the Australian mammals and reptiles, and over 90% of amphibians and fish - cannot be found elsewhere! Though both marsupial and placental mammals (the mammals found in the rest of the world) were present in Australia at some stage, the marsupials prevailed. They evolved to fill the available ecological niches in the same way their placental counterparts did in other countries. The result of this so called convergent evolution is that the Australian marsupials often physically resemble their respective placental counterparts. The famed (and since 1936 extinct) Tasmanian Tiger brings canine predators like wolves to mind, the Tasmanian Devil is the size of a small dog. Quolls are also called native cats and gliding possums look similar to flying squirrels. The Koala and the sloth occupy the same niche on different continents, as do the Numbat and the anteater. And at Easter time you can even buy chocolate Bilbies in Australian supermarkets! Today many placental animals can be found in Australia. All of them have been introduced by man apart from bats, which arrived 15 million years ago, and rats and mice, which have been here for 5 - 10 million years. The earliest introduction is the Australian Dingo, which reached Australia about 3500 years ago (though that date is being debated...). Introduced animals to Australia that escaped and now live in the wild cause many environmental problems. Amongst the biggest are predation of native Australian animals and competition for their food resources, but also land degradation. Examples of troublesome feral animals found in Australia are water buffaloes, pigs, deer, foxes, rabbits, cats, donkeys, dromedars and horses.